Trim details are among the final pieces set into place in a home. The work of a skilled trim carpenter is, then, much more than measuring twice and cutting once, because these details often become the most apparent and defining in a space. Wood trim is important to both the form and function of a home, and for Jaime Vazquez and his team at Golden Eagle Woodwork, these details in wood are a source of pride. 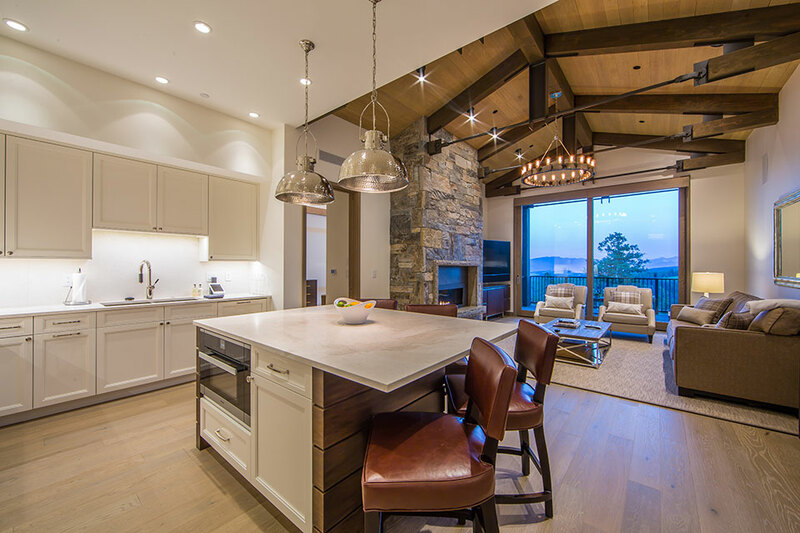 Jaime started his career as a carpenter in the high-end homes scene of Vail, Colorado, and expanded his capabilities with many an early morning and late night spent on various job sites. When he moved his family to the Bozeman area in 2004, his reputation for quality work and integrity followed him through the Rockies. Soon after, he opened Golden Eagle to meet the needs of the area’s building industry. Fellow long-time carpenter, Paul Holdorf, joined Jaime at Golden Eagle early on to help manage a growing list of work for homes in the Big Sky and Bozeman area. Paul says, “We now work almost exclusively on interior trim, which encompasses everything from ceiling and wall details, baseboards, window and door trim, to intricate stair and beam wraps.” In one Big Sky home, this broad range of skill and precision is on display, where Golden Eagle craftsmen wrapped a contemporary steel staircase in rich walnut trim, turning a functional home feature into a centerpiece of the design. Partnering with talented builders and architects continually raises the bar for Golden Eagle. 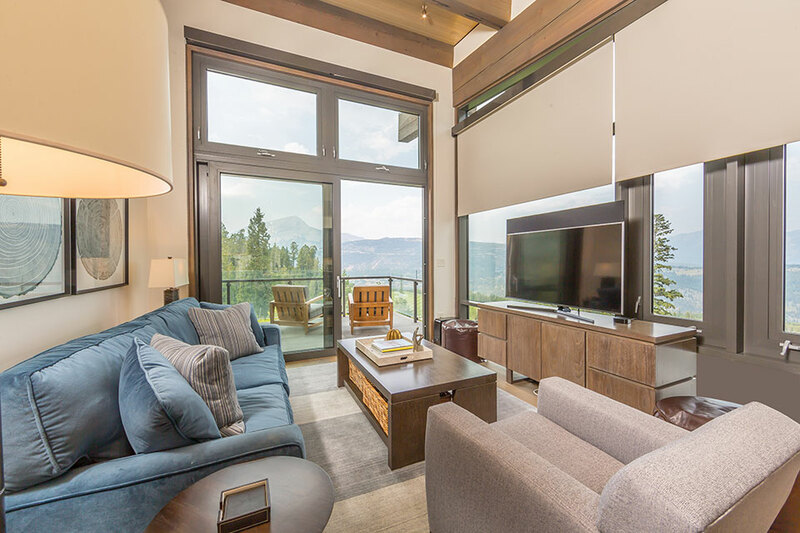 “For our team of craftsmen, it’s both challenging and rewarding to work with architects and homeowners who have a defined vision, from specifications of the nail pattern on a wall to discussions of the color mix of reclaimed wood. Their attention to detail really energizes our work,” says Paul. The Golden Eagle team of 30 employees is launched to jobs from the nearby Gallatin Gateway shop, making them agile on the job site while also adding the benefit of a dedicated woodworking space for custom work on cabinets, doors, and other artful wood components. They work with all varieties of wood including reclaimed lumber, painted trim, and exotic hardwoods, each bringing their own distinctive style elements to a home. Contemporary glass and steel design with minimalistic wood trim is a growing trend that Golden Eagle regularly works with. In spaces where this type of design is used, wood becomes a vivid accent to the materials they contrast. The trim is often recessed to fit flush with the drywall, and a thin channel detail finishes the transition between the two. Though Jaime’s business has grown year after year, making his management of multiple jobs a priority, he still tries to spend some days with his tool bags on at job sites. His humble and hardworking presence acts as a compass for his employees.